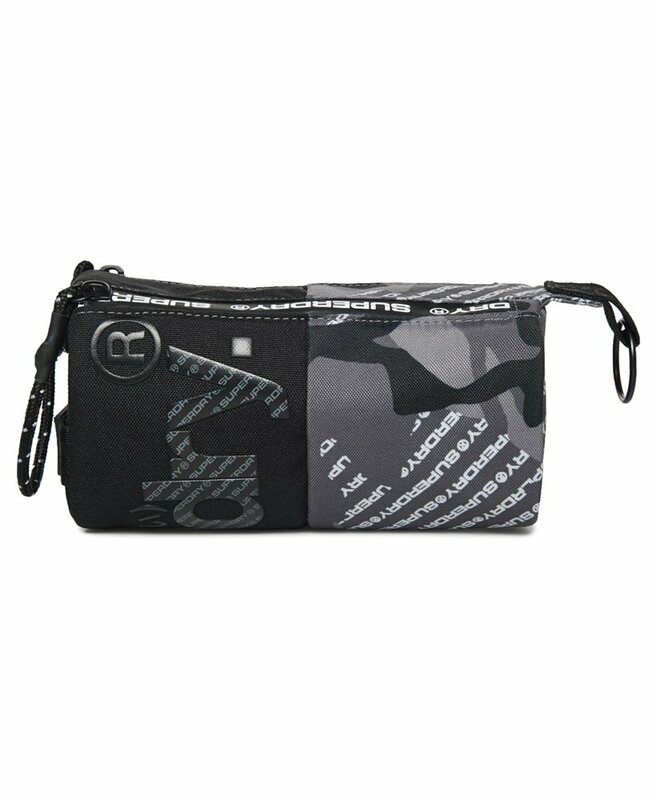 Superdry men's Camo Logo tarp pencil case. Perfect for all your stationery supplies, this pencil case features double zips and hook and loop fastening for extra security and to keep your essentials together. The Camo Logo tarp pencil case is completed with Superdry branding throughout, including a rubber logo badge on one end.